Growing older in a cold climate can be exceptionally tough. It becomes more difficult to breathe, the bones ache a little more than usual, and walking in the snow can be particularly dangerous. But there’s no need to pack your bags and head to Florida. If you enjoy the cold weather and the beauty of the snow, then you simply need to adapt with the right clothing and footwear for seniors. The Yaktrax Walk traction cleats are a great example of this. 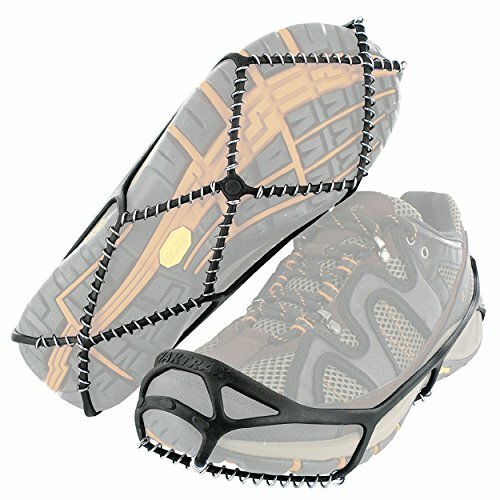 These traction cleats are a simple product that makes a huge difference when walking on the snow or ice. They slip around your existing walking shoes and provide a significant boost to traction. This is thanks to the lightweight steel coils that run along the bottom. 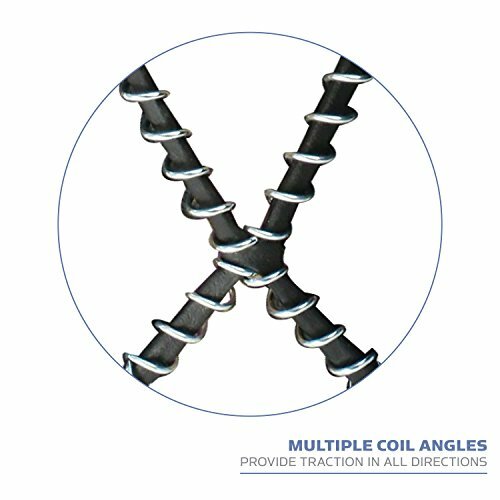 The coils firmly grip the surface as you walk and provide extra stability in all directions. 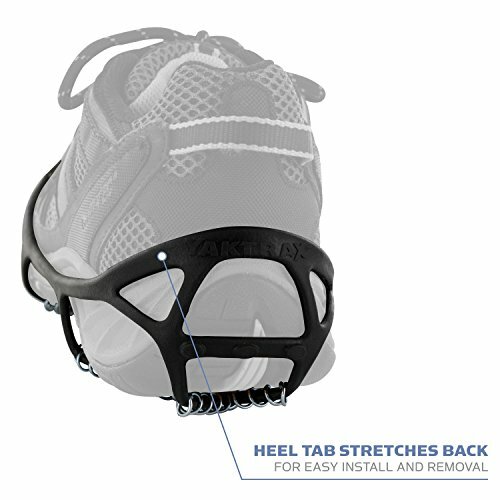 Slipping the Yaktrax Walk over your shoes is a fast and simple process. 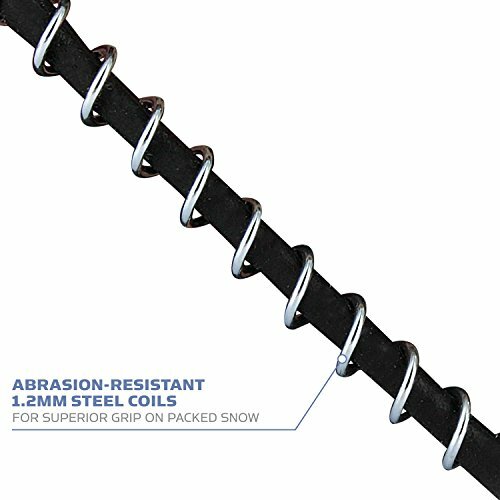 They are manufactured with a rubber that has high elasticity. 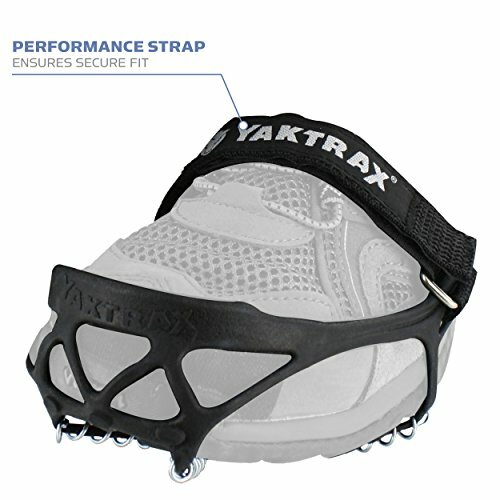 This allows one pair of Yaktrax Walk to fit over a range of shoe sizes. 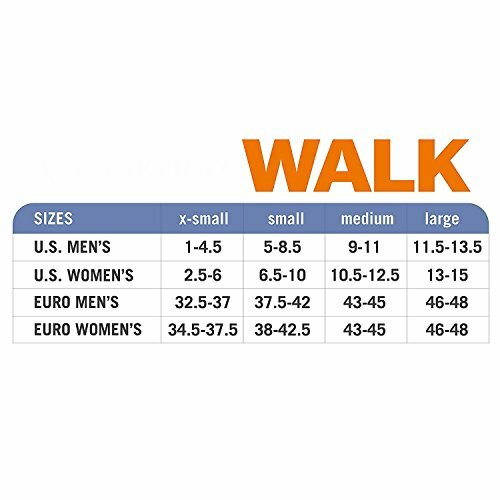 There are four different sizes of Yaktrax Walk so you’ll need to make sure that you choose the appropriate size for your shoe. 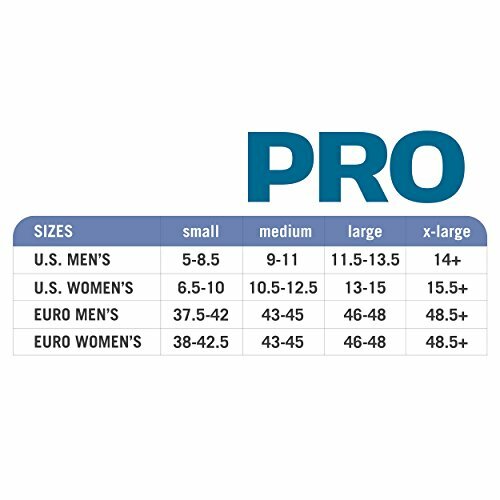 Their largest size can cover up to men’s size 13.5. 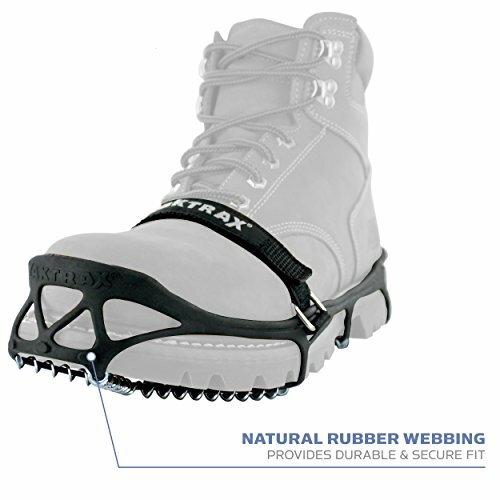 With Yaktrax, a senior can keep their most comfortable pair of walking shoes and improve their traction for the ice and snow. 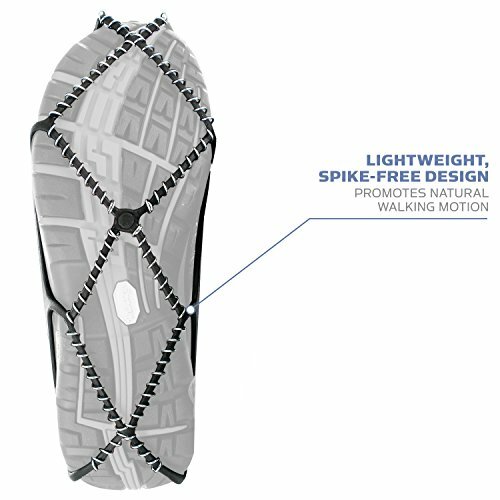 This is particularly beneficial if you have medical walking shoes or special orthopedic inserts. You don’t have to sacrifice the shoe itself just to improve the traction and stability. 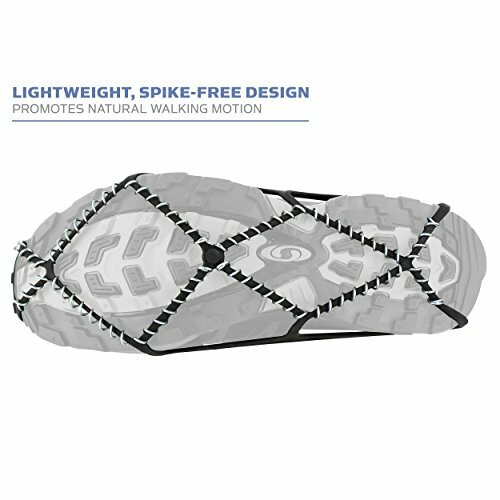 These traction cleats work well for all sorts of physical activity; whether it’s walking, jogging, running, or hiking. Unfortunately, they do not have a very long lifespan when used heavily. The likely need to replace them is somewhat offset by their low price. 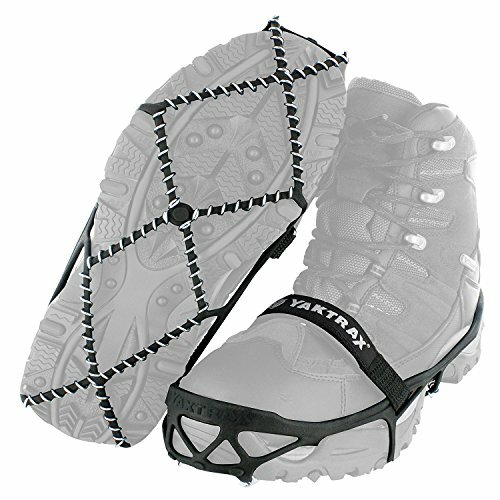 If you’re a senior in a cold climate area who already has a comfortable pair of walking shoes, then the Yaktrax Walk traction cleats are a great addition. 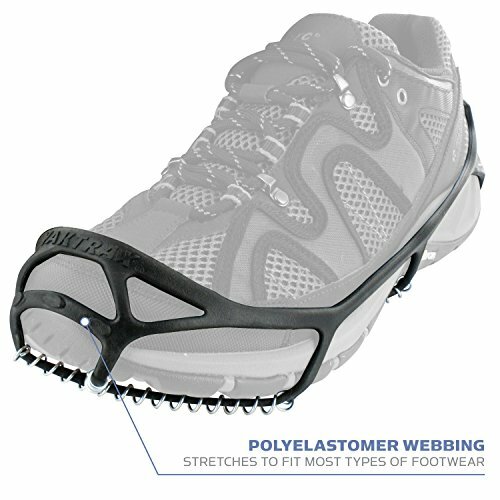 They are easy to slip on over any shoe and allow you to walk safely on the snow or ice. Just keep in mind that you may need to replace them within 6 months if you are very active. 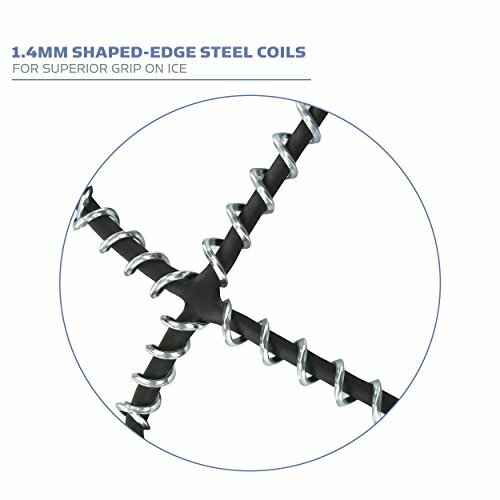 Alternative to snow boots, these cleats with lightweight metal coils attach to your existing shoes or boots and increase traction on snow and ice. Simply stretch the elastic bands and slip them over your favorite footwear.